Safari Ltd is the maker of many excellent Dinosaur toys. Safari Ltd Focuses on Education, Safety, Service and Dinosaurs? Safari offers a great variety of ever improving Dinosaur toys. Founded in 1980 as an educational toy company operating out of the founders apartment, Safari Ltd. has grown into a $200m business. The growth of their business is mirrored in the new (and very realistic) Dinosaur figures it produces today. The Safari Dinosaurs range in price from about $2.99 to $9.99. Safari also produces the Carnegie Collection of prehistoric animals. 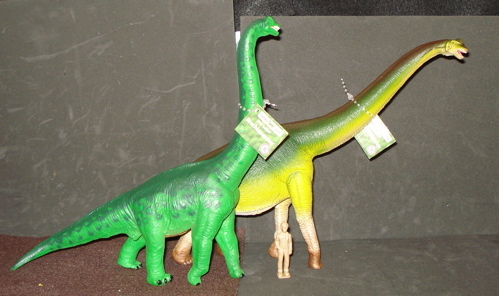 Safari had been producing Dinosaur toys for the Carnegie Collection since 1988. 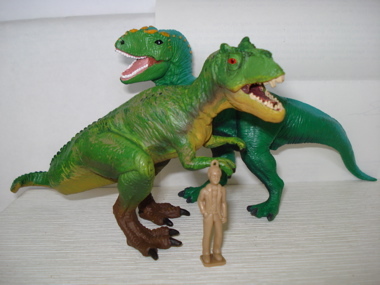 In 1993 they produced 'the Dinosaurs of China' series and 1996 saw Safari jump into the Dinosaur toys game with their own branded line of figures. These were somewhat toy-like but none-the-less realistic and are generally sold as individual figures, out of a bin or off the shelf a la the early MARX Dinosaur toys. Carnegie has remained their "serious" dinosaur toys line although the Safari line itself has been getting a lot more 'serious' of late. 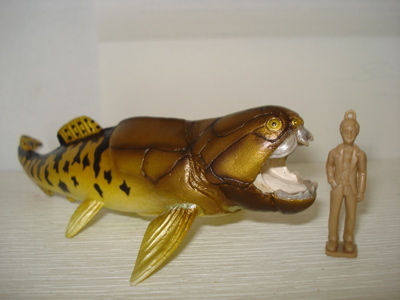 Devonian Period, Dunkleosteus, Safari is producing the broadest line of prehistoric creatures and Dinosaur toys of any manufacturer today. Demonstrating their commitment to quality Safari has come out with new molds to replace older models. Here we see the new T-Rex for 2008 standing in front of the more toy-like toy T-Rex from 1996 (still one of my favorites). Safari has a deep and broad line of Dinosaur toys to augment your personal herd(s). Given their price point and good looks these make really excellent Dinosaur toys with great "playability". They are tough and wear only makes them look tougher. The 1996 T-Rex is still one of my personal favorites even though it was superseded in 2008. 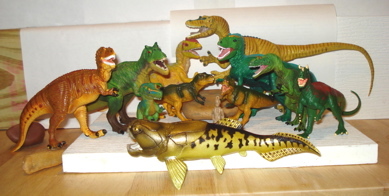 You can read about them and the other Safari Dinosaur toys by clicking on the links in the list of Dinosaurs below. 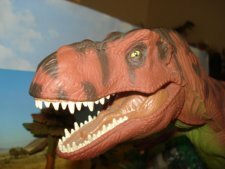 If you are more interested in reading about other dinosaur toy companies- click here. List of All Dinosaurs by Safari Ltd (that I own)! 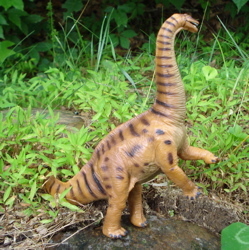 Carnegie Amargasaurus (2006) Actually a Carnegie Collection figure but they neglected to put that in its imprint! Baby Dinosaurs (1997)(Baby Spinosaur) (Baby Tyrannosaurus) Baby Dinosaurs! Mosasaurus (1991) This is the same figure as the Carnegie Mosasaurus- it was copyrighted in 1990 for Carnegie, then again in 1991 for Safari Ltd, the actual manufacturer. 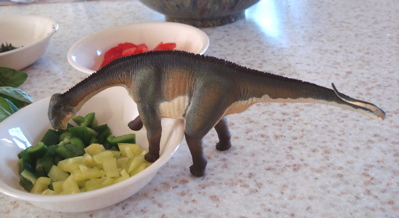 Safari Ltd. is a very serious player in the creation of realistic Dinosaur toys. 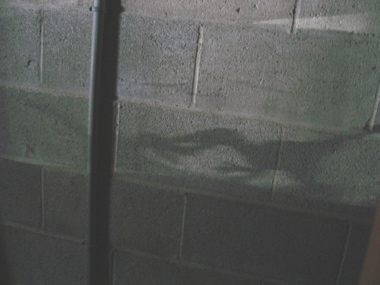 Coming out of the shadows. Not so much seen, as sensed. Where YOU provide feedback to us. Comments? What would YOU like to see here?